Moges dashes across the grass with a herding whip in hand. At three years old he can’t make it crack like his father or the other men in Romey Kebele (sub-district), a pastoralist area a few hours outside Addis Ababa where his family lives. But he smiles proudly as he loops it in wide circles around his head. Today, Moges is beaming with life and colour. Three years ago, he was close to death as pneumonia and diarrhoea nearly robbed him of his life within months of his birth. Muluemebet Balcha, one of the Health Extension Workers (HEW) that helped save Moges’ life, remembers how distraught his mother was. Ms. Muluemebet had contacted her to offer postnatal care for Moges through the Ethiopian government’s Health Extension Programme (HEP). “She was desperate. She thought the child would have died,” she said. “I gave him treatment and on the second day he got well. I was very happy to see him survive,” she remembers. Prior to becoming this kebele’s first HEW, Ms. Muluemebet says not all new-borns in the area were as lucky as Moges. “Before that training was given so many children who encountered the same problem died,” she said. The HEP has done wonders for families in hard-to-reach rural areas like Moges’ ever since it was established in 2003. With help from UN agencies like UNICEF, it continues to grow. As of 2015 there were more than 38,000 HEWs like Ms. Muluemebet working in over 16,000 health posts across the country. 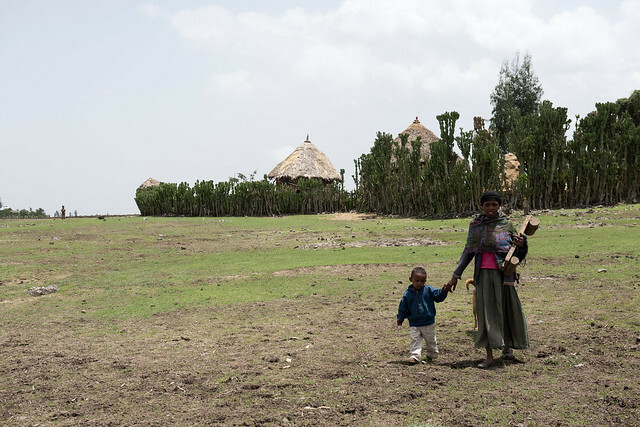 Each health post serves around 5,000 people, meaning the vast majority of Ethiopia’s population of 99 million are within reach of free, basic health care. “The provision of this service in our Kebele is very beneficial,” he added. 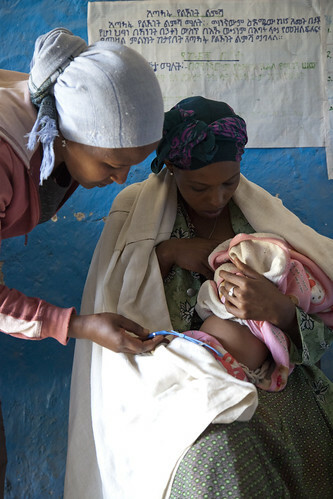 In September 2013 Ethiopia turned heads around the world by announcing it had achieved Millennium Development Goal 4, which pushed for a reduction of child mortality rates by 67 percent, three years ahead of its 2015 deadline. What started as 205 deaths for every 1,000 children in 1990 tapered off to 59 deaths per 1,000 in 2015. While developments in technology and new levels of political support are partially responsible for this drop, the HEP was a key driver in making this improvement a reality. Meeting MDG 4 was a milestone in the country’s history, but HEWs aren’t claiming “mission accomplished” quite yet. “The size of kebeles and their population means they cannot be covered by one HEW. I am the only health worker serving this community so it is very tough to reach all the households,” says Ms. Muluemebet, outlining challenges she and the program at large still faces. Because she balances so many patients, she’s not always able to put in the time to make sure health education sticks. “Given the awareness of the community, it takes a long time to implement some of the activities. Families are getting the education needed, but sometimes it takes them a while to put it into practice,” she says. Moges’ mother, Kokeb Nigusse, admits that while the community is grateful for the free services they provide, not everyone follows their advice to the fullest. “They give the children medicinal drops, injections and syrup when they are sick,” she said. “They check up on the children. 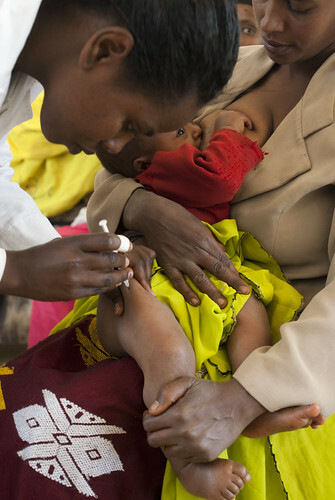 They also follow up and give injections to pregnant women. More significantly they advise us to deliver in health institutions and not at home.” Despite this last suggestion, she says, house deliveries still occur. 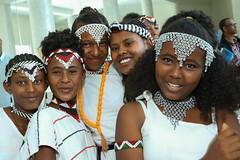 With more support from Ethiopia and UNICEF, that is beginning to change. “Before I started work, most mothers delivered at home. But now, if you take this year’s data, out of 171 pregnant mothers only 20 delivered at home,” said Ms. Muluemebet. The rest delivered at the local HEP health centre. 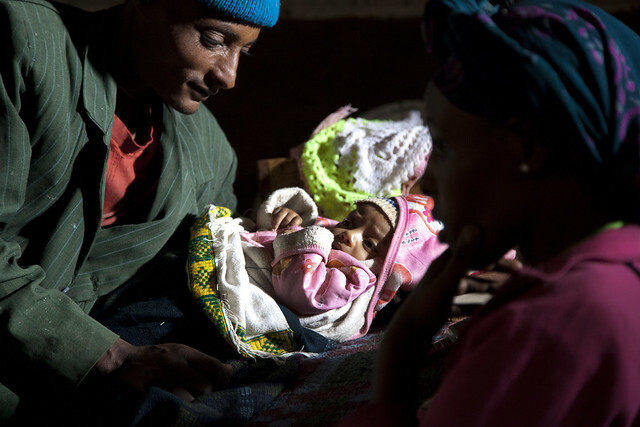 Pneumonia, diarrhoea and malaria are three of the five most common life-threatening conditions that new-borns face in Ethiopia. These threats have curtailed with the debut of the integrated community case-based management of common childhood illnesses (ICCM) regime. So far, more than 28,000 HEWs like have been trained in ICCM. 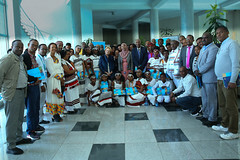 With help from the financial support of its donors, UNICEF has guided development of the ICCM and HEP programs, given technical assistance to Ethiopia’s Ministry of Health, and delivered 10,000 health kits to HEP health posts throughout the country. Ms. Muluemebet says the change from this support has been enormous. Moges and Ms Kokeb were saved from having to travel great lengths to get basic care. Today they walk hand-in-hand across the bright green plains that surround their vast plot of land, happy, at ease and part of a complete family. 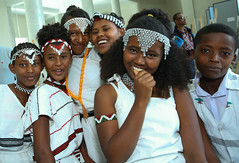 As the HEP continues to grow, success stories like theirs will become a shared experience for millions more Ethiopians.